What type of scars is the needle-suctioning method for? And what's the downtime? 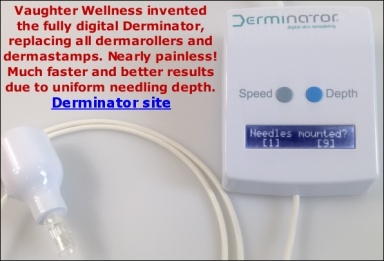 Re: What type of scars is the needle-suctioning method for? And what's the downtime? Dermaneedling works without any additional products. You can increase the likelihood for an optimal result by establishing the best conditions in the skin for collagen production (topical vit. A and C are recommended). Copper peptides can also be helpful, but all these things are totally secondary to the dermaneedling itself. You should keep the skin moisturized after dermaneedling. I was just about to order the single needles but it says they are out of stock. Is there an eta on when they will be available?